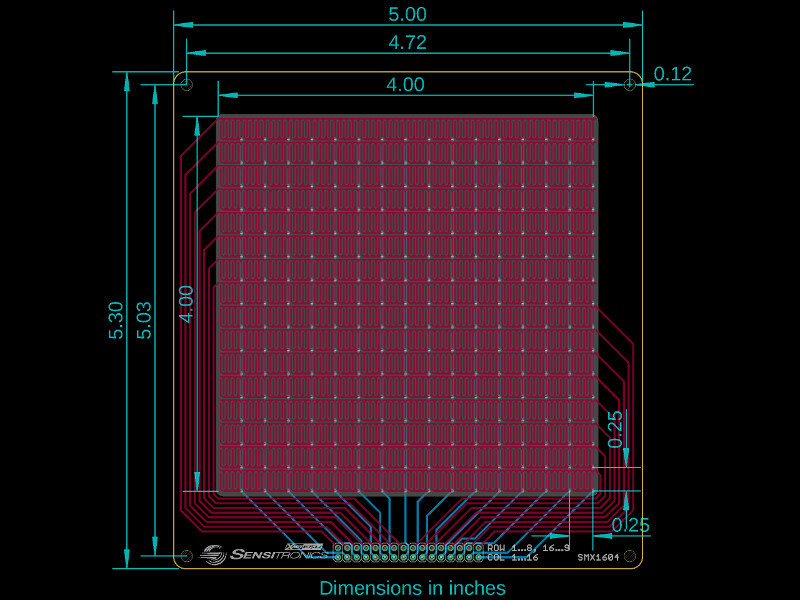 This array of 256 force-sensing cells, 16 rows and 16 columns, has an active area of 4"x4". It can be used as a multi-touch user input device, as a musical controller, or for any number of pressure- or force-mapping applications. ShuntMode construction allows for measuring a wide dynamic range. 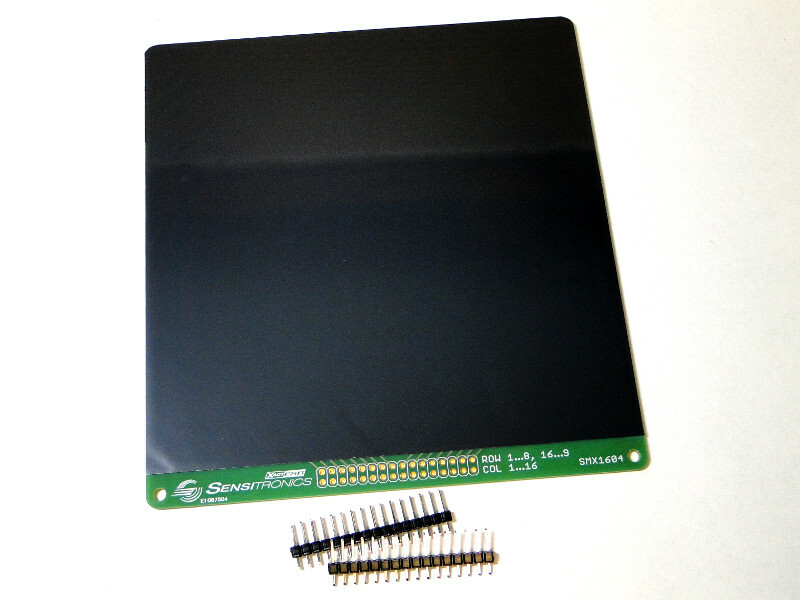 NOTE: Sensor ships with header pins, which may be soldered to the PCB by the user. The pads on the PCB have a 0.100" pitch, allowing for use of a wide range of user-supplied headers and connectors. Note: This tutorial uses a ThruMode Matrix Array, but the basic concepts are similar. Size Range 4"x4" Active Area See line diagram for overall dimensions. Force Sensitivity Range 1 lbs to 50 lbs. With force spread on a .5" area.